The first of three legs days this week. Get ready to be sore on the weekend! 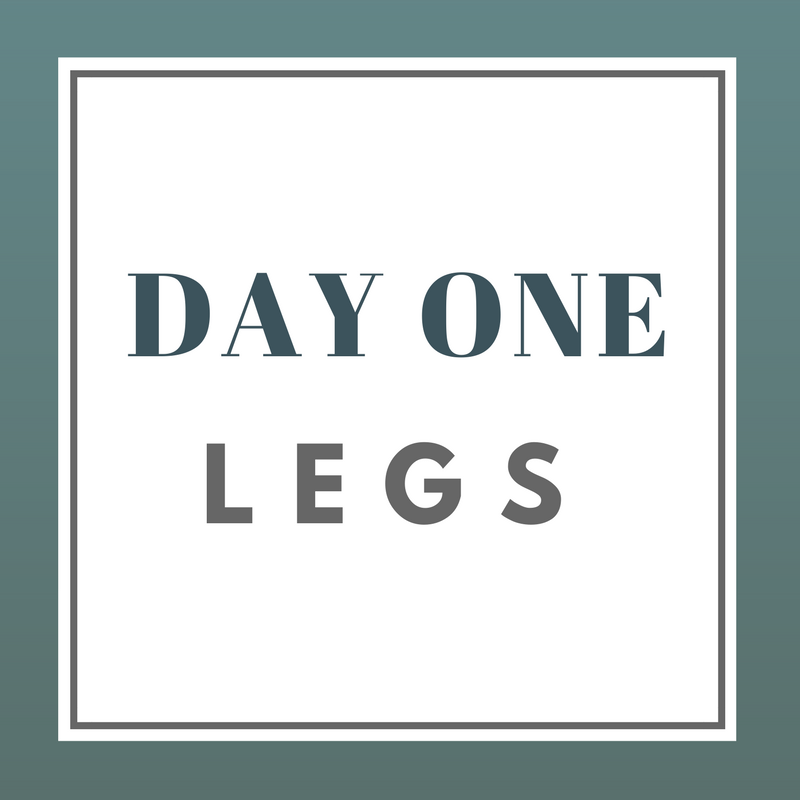 A few new exercises added for day 1 routine but mostly its the same layout. Check out the videos linked for form and technique! Cardio: 1-3 mi speed-walk or jog to help loosen up your legs after your workout in preparation for sprints tomorrow.